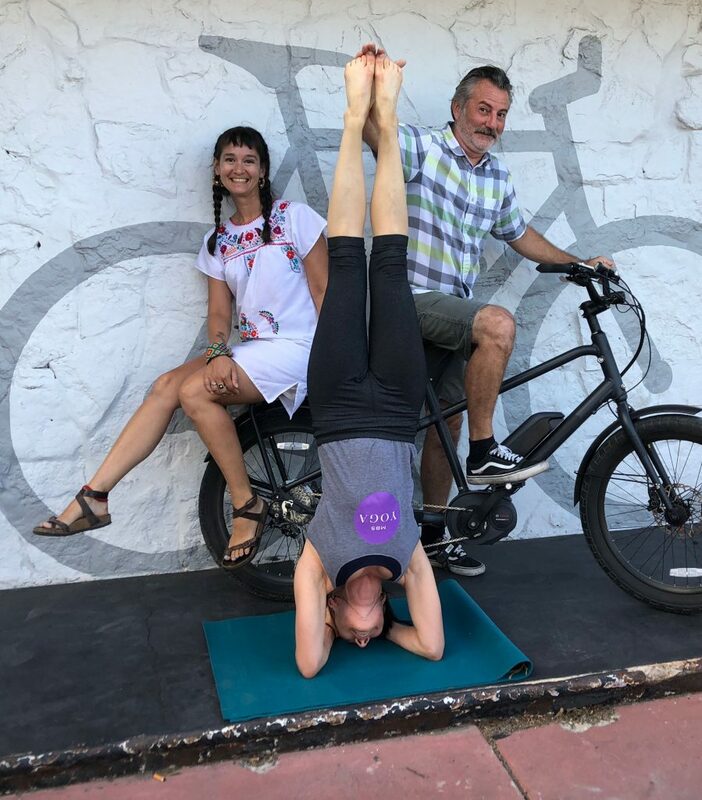 MBS Yoga instructor Mary Choplin hanging around with Small Planet eBikes Owners Alicia Spence-Schlesinger and Marty Schlesinger. 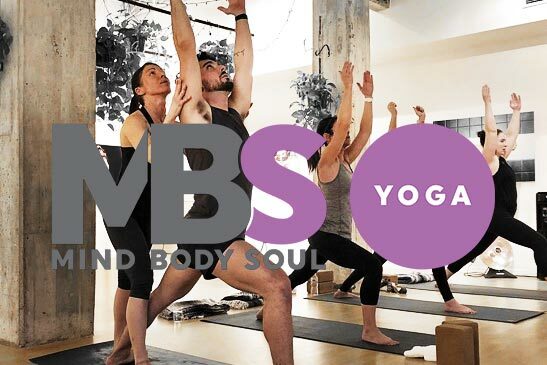 MBS Yoga will be holding classes in the parking lot there at 1203 S. Alamo on Fridays this month! What inspired the opening of the business in Southtown? Smart people buy eBikes. Open mindedness goes hand in hand with being smart. Our goal is to introduce to San Antonio eBikes, a smart alternative to the normal Texas gas guzzling cars. Our partner Tom Wilson was inspired to name our bike and craft beer shop “Small Planet” based on when the first astronauts could see the planet from a distance. When they first saw the planet it was made evident just how small planet earth is. Before that moment, the impression was the planet was so large the it could be used as an insatiable trash dump. Tom’s reason for starting Small Planet eBikes was just a small effort to mitigate the pollution to the planet by getting out of cars on eBikes. 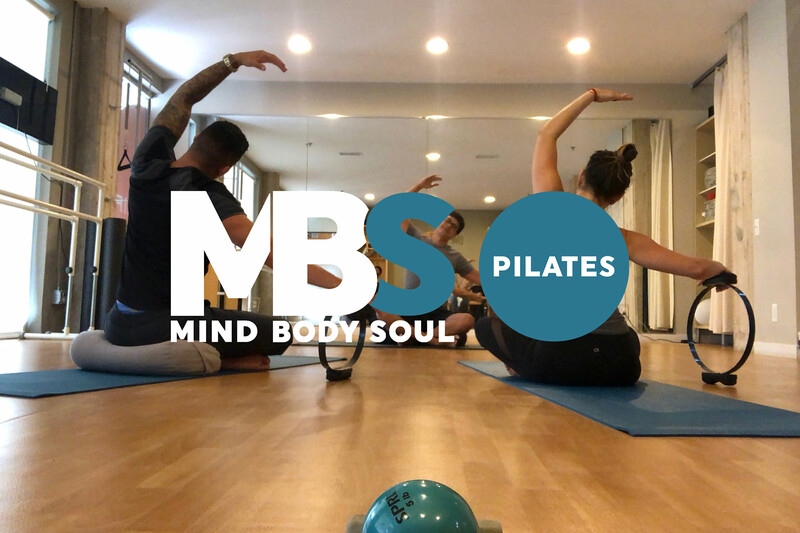 There are three other Small Planet locations, one in Dallas, one in Denver, Colorado and our home base location in Longmont, Colorado. My husband Marty Schlesinger grew to become friends with Tom while working as a traveling eBike salesman. Marty and I felt confident that San Antonio was the right market that would be open to alternatives. We felt the King William/SouthTown neighborhood was the perfect fit because a lot of progressive and San Antonio game changers live in this area. My husband and I added the craft beer and canned wine element to our San Antonio location as an enhancement to our overall business concept. We wanted to build a “third spot” – meaning your place to gather that isn’t home or work, a place where the neighborhood can engage in good products at a reasonable price and a place to enjoy stimulating conversation. Any exciting developments on the horizon, upcoming events or recent wins you’d like to share? We are working to expand our weekly food truck offerings and to create Saturday shopping markets to our lot when the weather begins to cool down for fall. In addition to the food trucks and Market a future goal is offer beer tasting/education classes. I have a 13 year background in the San Antonio beer industry. I worked for Blue Star Brewing Co. as their marketing manager and grew into the position of general manager. After leaving Blue Star I accepted a position at Freetail Brewing Co. as the brand manager. I created all the beer can designs for Freetail. Long story short, we want to expand people’s pallets while teaching them something new. Currently, we are teaching our Instagram audience @Hub_MRKT fun facts about beer with out the tastings. What do you think makes the neighborhood such a great area to live, work and/ or play in? I, Alicia am also in charge of the King William Parade that kicks off the King William Fair. I have volunteered and participated in the parade over 10 years and this is my 2nd year organizing the parade. During my journey with the Fair I have learned a lot about the history of the King William neighborhood. There’s more to the history, than the houses. There are great stories about the people who resettled in the neighborhood and work tirelessly to revive this neighborhood. Because of these pioneers who resettled King William in the late 60s-80s, people like us would find the area a prosperous community to grow a business. What health & wellness activities do you or would you like to practice regularly when off duty from Small Planet eBikes? 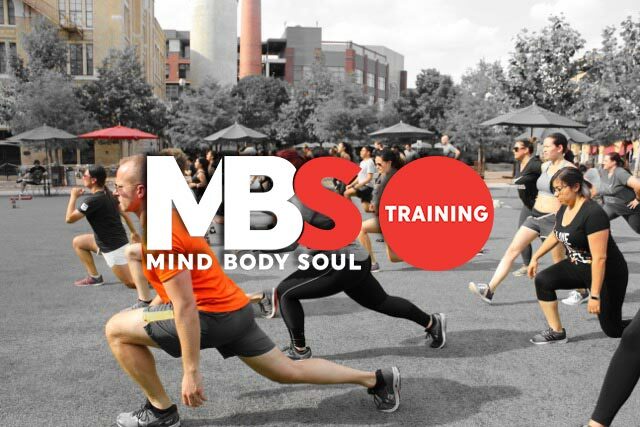 Before starting the business, I exercise religiously at MBS. I loved the community feel of the gym and getting to know the patrons who lived in the neighborhood. Weight lifting was my go to, I enjoyed the challenged, the quick results, feeling strong and most importantly, I was able to relive a lot of stress. Since my husband and I started our business, I began part time work for the King William Fair and finding a regular workout regimen has been a challenge. Currently, I’m working on creating a regimen of 4 days to include a 15min full body workout with a mix of HIIT on the treadmill. Any tips for others trying to do the same? What do you feel would make it easier? Jump in with your eyes wide open. You will need to be prepared to work twice as much and twice as hard. The exciting part for working for yourself is the natural encouragement to keep going. It’s exhausting but, somehow your love for business will keep you running. Anything else you want to include about you, your business, Southtown or health and wellness? Marty Schlesinger, my husband who is the true owner and manager of the business always says riding a bicycle is like finding the fountain of youth. Small Planet E-Bikes is located at 1203 S. Alamo St. in Southtown.